Massimo Simbula has more than 15 years of experience in Italy and abroad on corporate, IP, TLC, Cyberlaws and new technologies. 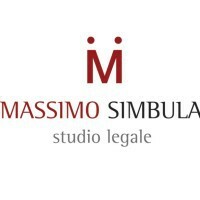 Massimo provided legal assistance to Italian and foreign governments, International Banks and big corporations with a relevant activity in privatization of state owned companies. He was senior lawyer for primary international law firms and managed corporate ad legal affairs of top five international corporation operating in fashion industry. He provides continuos legal assistance to companies, incubator, startup, venture capital with a focus in digital and robotic business. Massimo Simbula is expert in listing companies at Italian Stock Exchange, providing complete legal assistance, and has a strong experience in the European Union program called Horizon 2020. Massimo is fluent in Italian and English.